One of the most successful young bands from recent years in the Portuguese underground, Analepsy have surprised everyone by taking a very specific genre where the room to manouevre is increasingly small and showing it's still possible to build your very own personality within it. 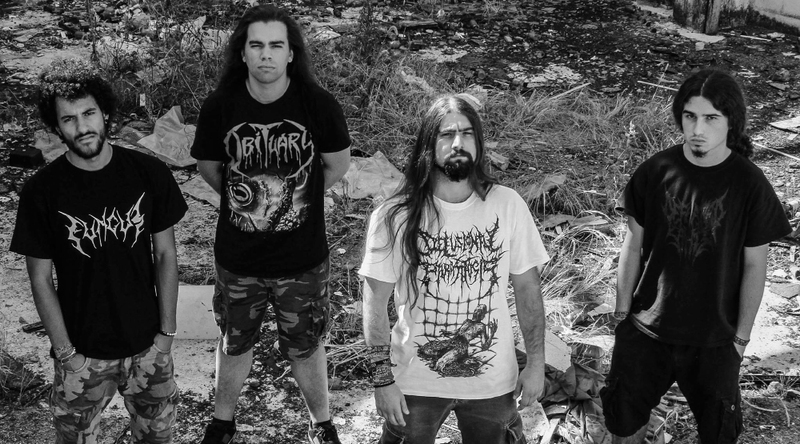 While not reinventing the wheel, the Lisbon quartet's take on brutal death metal is refreshing, agile and far from many, shall we say, less creative efforts we've all had to suffer through. After a very promising EP in 2015 called «Dehumanization By Supremacy», Analepsy's full-length debut finally came in 2017, shortly followed by a split with Norwegian maniacs Kraanium, and from then on, the band has pretty much lived on stages both in Portugal and abroad, turning heads and twisting necks with their breathtaking savagery everywhere they go.